Manganese ore is widely used in steel, non-ferrous metallurgy, chemical, electronics, battery, agriculture, etc. industry. More than 90% of the world’s manganese is used in the steel industry. Global terrestrial manganese ore reserves are 6. 800 million tons (manganese metal), most of which is manganese oxide ore, with a production of 16 million tons (manganese metal) in 2017. spent catalyst could be a secondary recover resource of manganese. 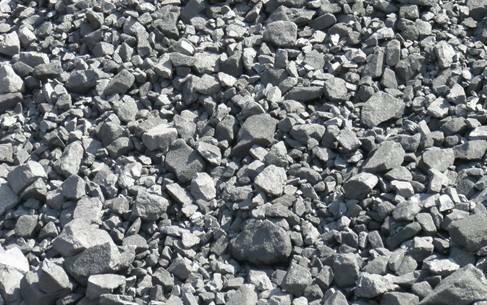 China’s manganese ore resources are mainly manganese carbonate ore, and the average grade of ore is only 21. 4%. With the consumption of manganese ore resources, the grade of ore is gradually reduced, which is not only difficult to develop and utilize but also has a large amount of smelting wastewater and waste slag. Therefore, improving manganese resource utilization technology level is of great significance for realizing the conservation and utilization of manganese resources, protecting the ecological environment and promoting the sustainable development of the manganese industry. The purpose of manganese ore beneficiation is to remove the slime, separate stone and mineral manganese, enrich the low-grade ore, improve the ore grade, reduce the energy and reagent consumption of the smelting process from the source, and then reduce the amount of smelting waste. The methods of mineral manganese processing mainly include washing, gravity separation, strong magnetic separation, flotation, fire enrichment and chemical beneficiation. There is a large difference in density between useful minerals and gangue minerals, and the density of manganese oxide ore is 3.7 ~ 5g/cm3, the density of manganese carbonate ore is 3.3 to 3.8 g/cm3, the density of gangue minerals such as quartz and calcite is 2.6 to 2.9 g/cm3. The use of re-election technology can achieve the separation between useful manganese ore and gangue minerals, and achieve the purpose of enriching manganese ore to enhance ore grade. Manganese ore is mostly weakly magnetic. The specific magnetization coefficient of the manganese ore is up to 250×10–6cm 3/g, the tungsten manganese iron ore is 66×10–6 cm3/g, and the manganese carbonate ore is 125×10–6 cm 3/g. Most of the gangue minerals are aluminosilicates, which are non-magnetic. Therefore, manganese ore enrichment can be achieved by strong magnetic separation. The magnetic separation of low-grade manganese ore was studied. After two-step magnetic separation with high magnetic field strength and low magnetic field strength, the ore grade was increased to 45. 8%. The main types of magnetic separators are the high-density magnetic separator, wet magnetic separator, dry magnetic separator. Flotation is suitable for the treatment of fine-grained manganese ore. Ore size is an important indicator affecting the flotation effect. The development of flotation reagents is the key technology. Traditional flotation collectors mainly include oleic acid, oxidized paraffin soap, naphthenic acid and tart oil. flotation machine for sale. The natural type of Australia manganese ore is mainly manganese oxide ore, which has two types: primary and oxidized. Manganese minerals mainly include pyrolusite, hard manganese ore, crypto-potassium-manganese ore, and a small amount of manganese earth, black manganese ore, manganese ore, strontium magnesium manganese ore, black zinc manganese ore, galvanized manganese ore and limonite. The gangue minerals are mainly quartz, followed by kaolin, sericite, opal, stone pulp, clay and so on. Australia manganese ore primary manganese ore is only found in sedimentary-reformed deposits, mainly composed of manganese carbonates, sulfides and silicates. The ore type is mainly composed of mixed primary manganese ore, and can be divided into sulphur manganese ore-manganese carbonate ore, sulphur manganese ore-manganese silicate-manganese carbonate ore. Manganese minerals are mainly rhombohedral, sulphur-manganese or eutropha, with a small amount of iron-sulfur-manganese ore, calcium sulphurite and manganese garnet; associated metal minerals such as galena, sphalerite, strontium silver ore Copper ore and pyrite. The gangue minerals are mainly quartz, calcite and chlorite, a small amount of diopside, serpentine and claystone. Ore material on the grid sieve, screened material flow into the washing machine, then into vibrating classifier, handpick the +30mm grain size to do secondary washing. -30mm +3mm grain size into the mineral jig to get concentrated manganese. The jigging tailings and the -3mm size material is merged into the grinding system which consists of rod mill, vibrating screen, and spiral classifier. -1mm material into the SHP-1000 high-density magnetic separator select out the concentrate manganese, the strong magnetic tailings are cleaned by DPMS wet permanent magnetic strong magnetic separator. JXSC mining machinery manufacturer provides a full set of manganese ore processing machine globally, besides, we do gold wash plant, gold separator machine, portable crusher, gold trommel scrubber, stone crusher, ore dressing equipment, mineral concentrate, etc. contact us to know the latest gold wash plant prices.